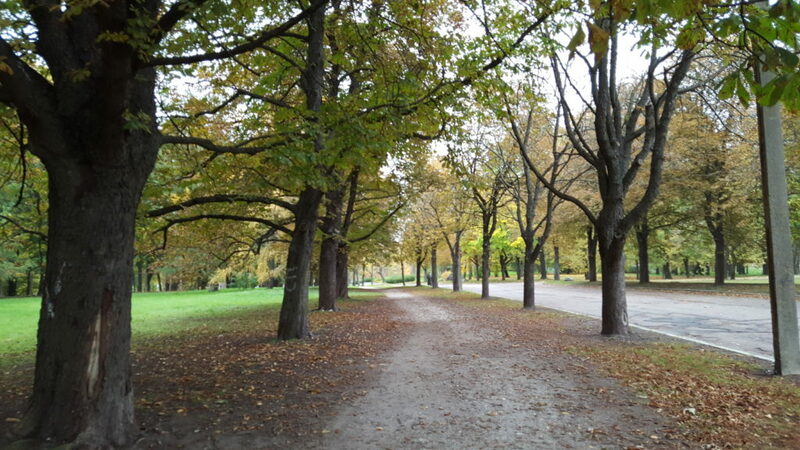 I took an almost 2 hour leisurely walk through the park. 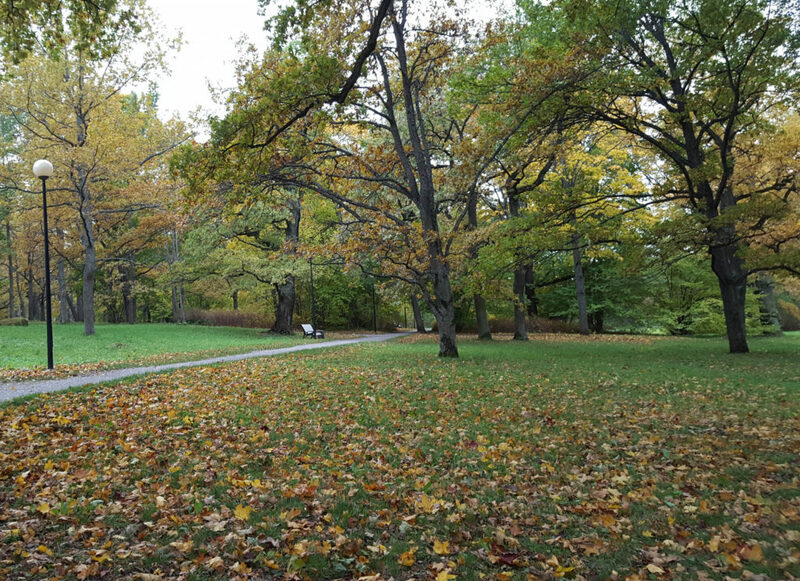 The weather has been quite cool and overcast but there isn’t much rain, just a cover of dark clouds so it’s not terrible walking weather as long as you have a thick jacket and a good pair of gloves (a hat and scarf would not go amiss either if you’re thin skinned). There were a surprising number of people there for just a random afternoon actually, most of them did not particularly seem like tourists, walking around with baby strollers, listening to music, walking the dog, etc. Of course a handful of them were also picture takers like myself (though everyone else had much better cameras, I just use my phone). 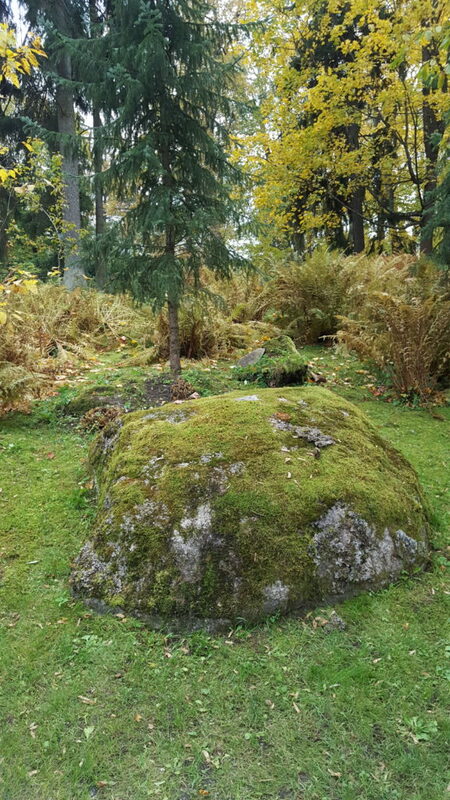 There’s actually quite a lot of these large rocks in Estonia, in the fall they seem to get extra mossy. 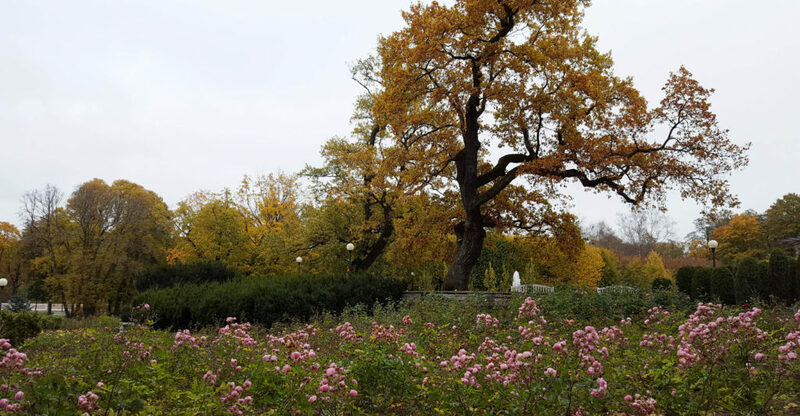 This is at the top edge of the garden where there’s a rose garden. About a quarter of the roses were still alive but everything else has been killed by the cold weather (it’s about 0-4°C here daily now). 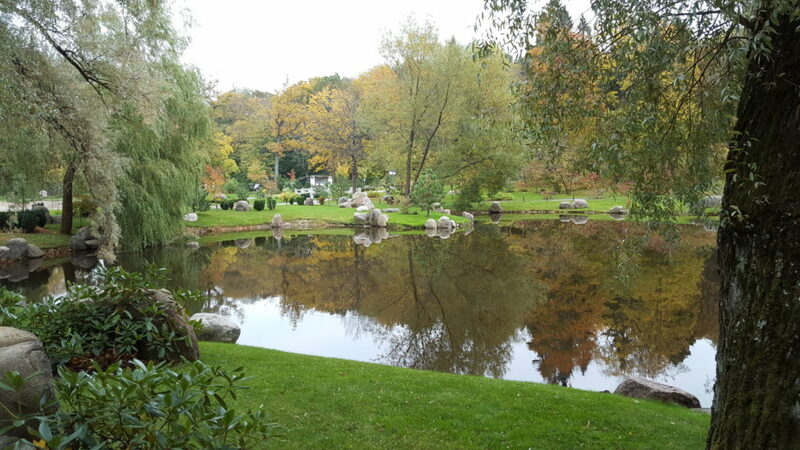 There’s also a lovely Japanese garden. While it’s not as filled as the Seattle garden and comes nowhere near the Portland Japanese Garden, it’s actually very lovely. 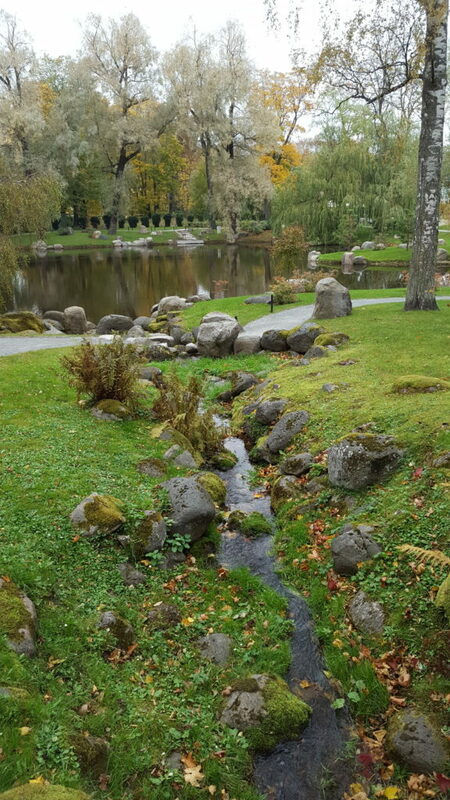 The Japanese garden was only started in Tallinn in mid 2011 so actually it’s quite nice for how young it is. Many parts of it are clearly still being built up. 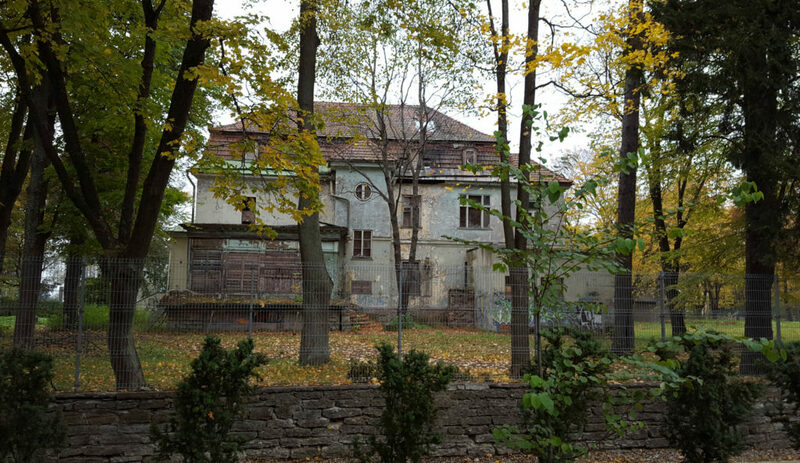 It’s also next to this spooky abandoned house, which this close to Halloween gives it a sort of special ambiance.